The studio monitor has gained a lot of popularity over the years. But while most people have heard of them, not all know their real application and think that if they get a studio monitor speakers in their home they will experience a true enjoyment while listening to music. However, this is not the case as we will explain below. But first, let’s delve into the basics of the studio monitors and the main differences between these and the conventional hi-fi speakers. The studio monitor is a speaker that is designed to be used in a professional audio production setting. 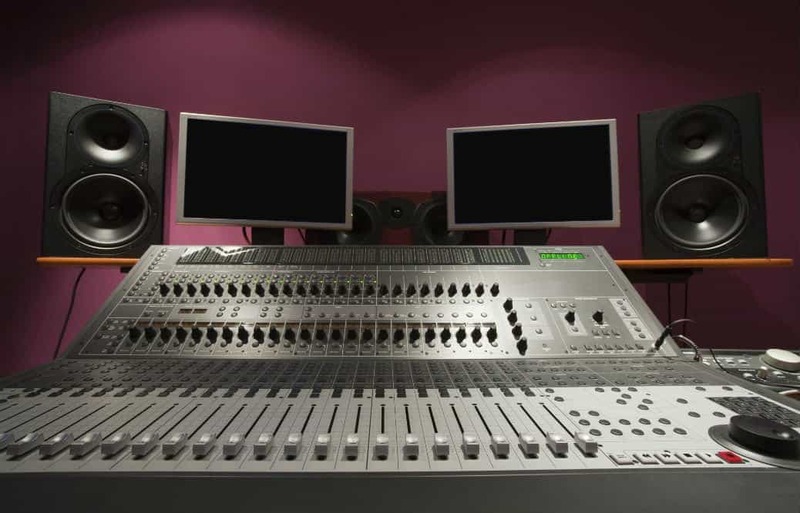 The studio monitor is used in recording studios, radio and television studios, during filmmaking or other professional sound recording applications. There are also home studio monitors for use in small or home studios. The main feature of the studio monitor is its ability to produce a flat phase and frequency. 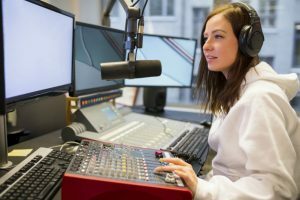 This is fairly technical, but in layman’s terms, it means that the studio monitor produces a very transparent audio signal without any distortions. 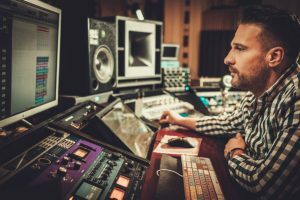 Another important thing the studio monitor needs to be able to handle is a high volume, sudden sound bursts and many unexpected sounds that can occur during recording or playback of unmastered mixes. Although on first glance, there are no major visible differences between a studio monitor and a conventional hi-fi speaker, there are subtle differences that define their features and application. The conventional hi-fi or home speakers are designed to be used for listening to the compressed recording, meaning that they reproduce a mastered mix with all the frequencies in place. The hi-fi speakers are unable to handle well the raw, unmixed and unmastered sound that is yet to be processed in a recording studio. Another characteristic of the hi-fi speaker is that it colors the sound it produces in some way. On the other hand, the studio monitor speaker is as flat as possible, adding as little as possible to the sound it reproduces. 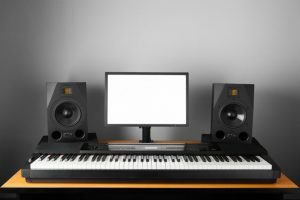 Where are the studio monitors used? 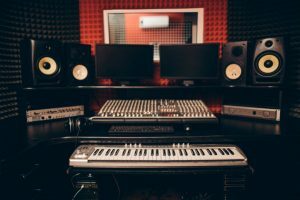 The term is pretty self-explanatory, as the studio monitors are primarily used in recording studios during mixing, mastering, and sound production. One may ask why spend extra dollars for a pair of studio monitors when any speaker can reproduce sound? This fact is mentioned briefly above, and we can’t emphasize it enough. The studio monitors have a very accurate response, meaning that they reproduce the sound as close to the original, without any major changes. Based on this fact, the studio monitors are a necessary requirement for any professional recording studio. Also, anyone who tackles home recording and is entering a higher level of sound editing and requires a more professional sounding recording needs to get a set of studio monitors. 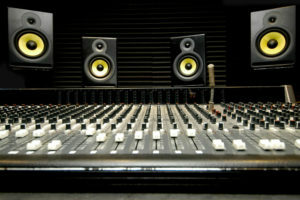 Most of the smaller studio monitors are designed to be used at close distances to the ears of the sound engineer and these are known as near-field studio monitors. However, due to the small physical size, these have a limited bass response. This can be remedied with the use of a subwoofer that provides the low frequencies and combined with the monitors, you will get the whole audio image you require. The other side is the big studio monitors that need to be mounted on the walls at larger distances. The larger studio monitors have a nice wide bass response and do not require the use of an additional subwoofer. All studio monitors come in two options when speaking in terms of amplification – active and passive. The active monitor has a built-in amplifier and does not require any additional amplification of the sound. The passive monitors do not work without an external amplifier and to properly use a passive studio monitor, you will need an amplifier. The smaller size studio monitors usually come as active or passive models. 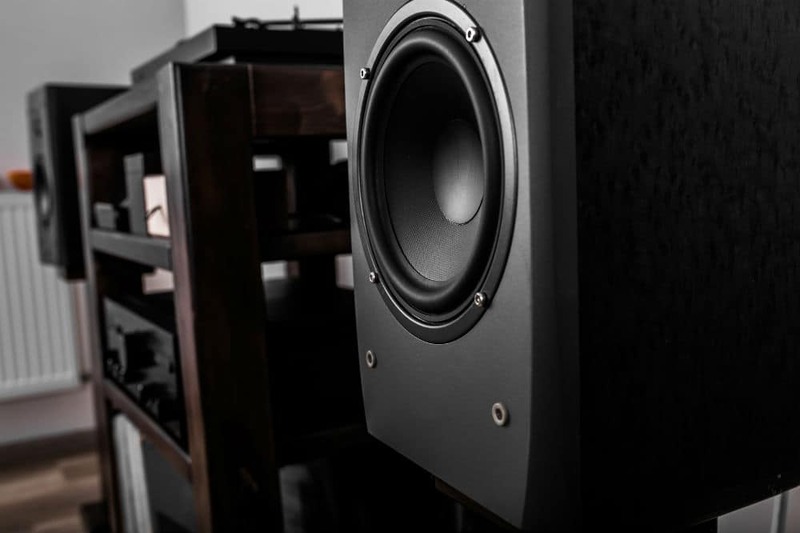 The large studio monitors usually come as passive monitors because of convenience – the large size prevents the convenient use of a built-in amplifier in every speaker. Why the wide price range? The studio monitor needs to produce as clean sound as possible. 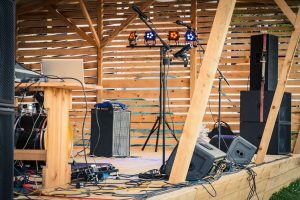 This depends greatly on the materials used, the design of the speakers, the design and build of the speaker box and many other features. As with other consumer goods, the higher attention to detail and higher-quality materials used, the better quality the end result will be. And vice versa. The wide price range depends on the manufacturers and intended markets. There are many manufacturers of speakers that have different series for different markets. Some companies cater only to the professional recording studios and their speakers cost up to several thousand dollars. 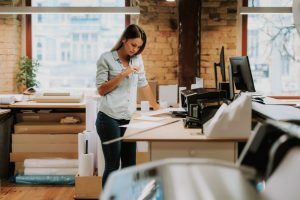 Other companies have both studio and hi-fi speaker models that are targeted to the more widespread consumer market with more affordable prices. And the good old saying – you get what you pay for. Always look for the best option for your available budget. Can one get past by using studio headphones? A relatively cheaper option to studio monitors are some nice studio headphones. They are very convenient to use and cost way less, but are in no way a substitute for a proper studio monitor. 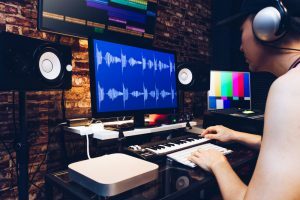 Most small home studios usually start with only studio headphones, but to get a good final product you can’t in any way rely only on using studio headphones. You need to get a studio monitor system and then you will really hear the difference in sound and be able to create a good sounding final mix. The studio monitor has its design and intended use. Even though one can get by using conventional hi-fi speakers to work and produce sound in a studio environment, still there is no substitute for the proper studio monitor. 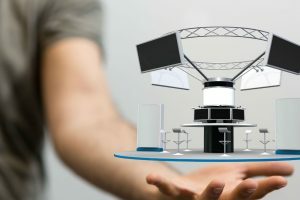 And the opposite, a person can use the studio monitors to listen to music in a home setting, but the sound quality of the conventional hi-fi speaker can’t be substituted with a studio monitor. As explained above, both are legitimate speakers and are used to listen to a sound recording. Any person that wants to produce sound needs to have a decent pair of studio monitors and know how to properly use them.